European Commission spokesman Margaritis Schinas said the U.S. investigation into the possibility of auto tariffs "lacks legitimacy, factual basis and violates international trade rules," just like last month's U.S. tariffs on steel and aluminum imports. 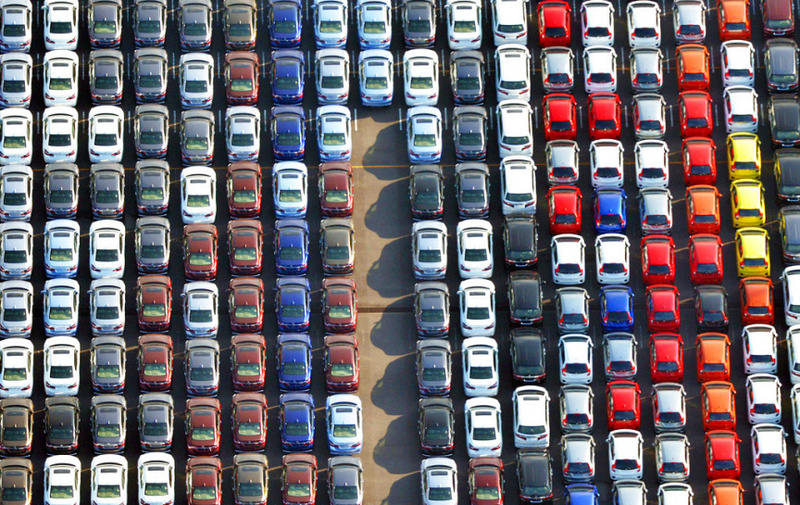 The EU sent comments to the U.S. for consideration in the Department of Commerce investigation into whether auto imports pose enough of a threat to U.S. national security to justify tariffs and estimating the economic impact. President Donald Trump cited national security concerns for the previous tariffs. The EU, which described the move as "pure protectionism," introduced duties on U.S. products in return, as did Mexico, Canada, Turkey and India. "European cars do not threaten or impair the health of the U.S. industry and economy," Schinas said. He noted that European carmakers create over half a million jobs in the U.S. In its submission, the EU argues that trade restrictions would likely to lead to higher costs for U.S.-based producers, and in effect become a tax on American consumers. This would only be aggravated by the likely counter-measures the 28-nation bloc and other trading partners might take. The EU responded to the steel and aluminum tariffs with "rebalancing measures" that hit around 2.8 billion euros ($3.25 billion) worth of American-made products. The EU said the U.S. auto industry is in good health, but any restrictive duties could undermine that trend. The impact of retaliatory measures by Washington's trading partners could total around $294 billion — or around 19 percent of total U.S. exports in 2017, the EU estimates. Last week, European Council President Donald Tusk warned that Trump's policies are harming trans-Atlantic relations and that "we must be ready to prepare our Union for worst-case scenarios." Tusk thinks Trump's action on tariffs, pulling out of the global climate agreement and withdrawing from the Iran nuclear deal — an agreement the Europeans say is vital to their security — is part of a pattern rather than isolated incidents. Any tariffs on EU cars would hit Germany hard. EU Trade Commissioner Cecilia Malmstrom said that while the EU does have higher tariffs on cars than the U.S. — around 10 percent versus 2 percent — the tariffs only apply to a fraction of the car market, around 15 percent. The U.S. has higher tariffs on trucks and other products, she said. Malmstrom said the EU cannot lift its car tariffs for the United States or it would have to do so for the rest of the world, and "there's no way" EU member countries would agree to that. Despite questioning the probe's legitimacy, the EU has requested to take part in a Commerce public hearing on July 19-20.